RSS Feeds are an excellent medium to get updated about the latest happenings on the Internet. Every website or blog does have it and whenever you publish an article, the RSS feed is updated and the people who’ve subscribed to your feeds will get notified about the same (via email or readers). Usually, our blog feeds are not just watched by the genuine subscribers but also some scrap bots which re-publish or reuse our content as it is on their own websites automatically. Earlier, bloggers/webmasters used to ignore the copycats but with the Google algorithm updates like Panda and Penguin, they’ve started getting worried about the duplicate content as the search engines are sometimes getting confused by the content scraping bots. In order to fight these content scrapers, we’ve to do something from our side to tell search engines that we’re the original author of the published content. How to Deal with RSS Feed (Content) Scrapers? It is nothing but a mechanism that will instantly ping Google whenever you publish an article on your blog. 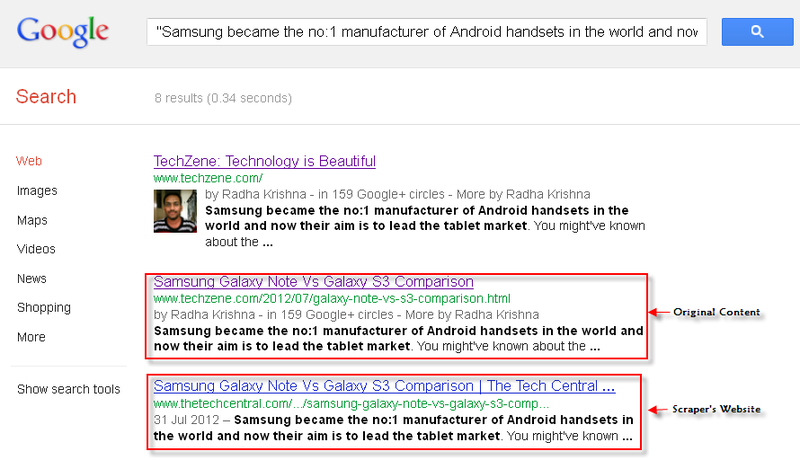 This sends a strong signal to Google that you are the original author. By default, all the Blogger and WordPress.com blogs are having this feature enabled. WordPress.org users can install this plug-in on their blog. Note: In case if you’re using any caching plugins, check that you’ve disabled feed caching else the search engines may not be able to see your updated content. Instead of worrying about the content theft, why not make some backlinks out of it? Yes, this particular copyright plugin will add a custom copyright notice (includes your blog URL and the post permalink as well) at the end of each copied post. This will not only get you backlinks, but also tells Googlebot that you’re the original copyright holder. If you’re already using this awesome SEO plugin, then you don’t have to install the above said copyright plugin as this option is already included. 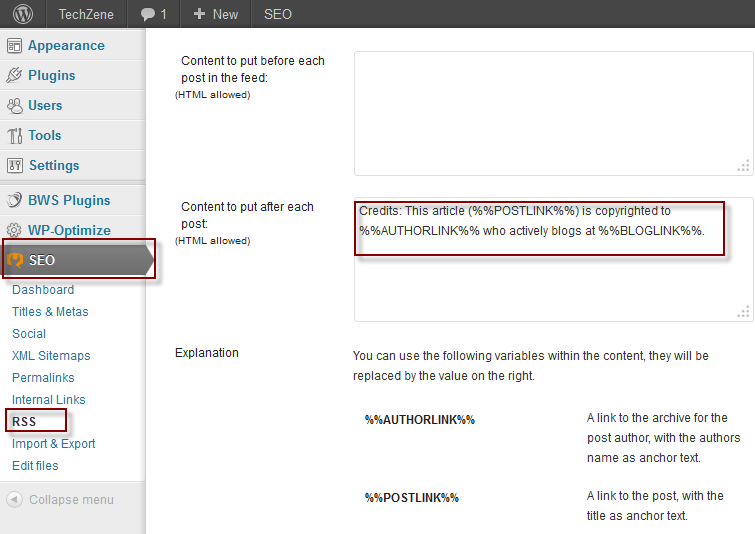 Simply go to Dashboard > SEO > RSS and enter the copyright notice text in the box titled “Content to put after each post”. Remember to use the variables wisely or just follow the below copyright notice used by me on my tech blog. You can find the copied content by two ways. Use CopyScape premium service (paid). Here are few free plagiarism checkers that are worth trying. Once you find the sites that are copying your content along with the images, you can stop image hotlinking by these sites. Google has to be appreciated for taking this crucial step to ban spam sites from its indexing. In such an attempt, they are requesting users to fill this special form and report such web spam. You can also file a DMCA request and track your DMCA requests from your Webmaster tools dashboard. Do you know that most of the reputed hosting providers will take spamming seriously? Yes, find out the web hosting company of the scraper and then report using the contact form present on the hosting provider’s site with proper proof. If your request is genuine, then they’ll surely take an action on the scraper’s website. If you know any other methods to fight content scrapers, please do share with us. We’d like to hear from you. Simple feed copyright looks promising..Will definitely give it a try.